Raising Cain - Michael Thompson, Ph.D.
By Michael G. Thompson, Ph.D. and Dan Kindlon, Ph.D. 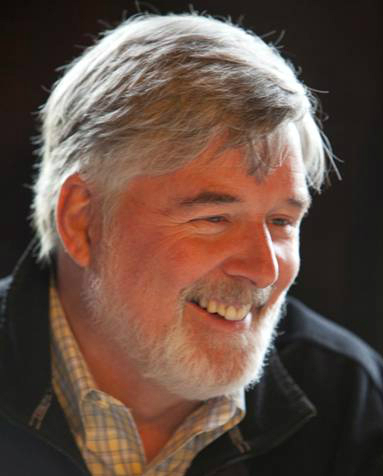 In Raising Cain, Michael Thompson and collaborator Dan Kindlon, Ph.D., two of the country’s leading child psychologists, share what they have learned in decades of combined experience working with boys and their families. They reveal a nation of boys who are hurting—sad, afraid, angry, and silent. Drs. Thompson and Kindlon set out to answer this basic, crucial question: What do boys need that they’re not getting? They illuminate the forces that threaten our boys, teaching them to believe that “cool” equals macho strength and stoicism. Cutting through outdated theories of "mother blame," "boy biology," and "testosterone," the authors shed light on the destructive emotional training our boys receive–the emotional mis-education of boys. 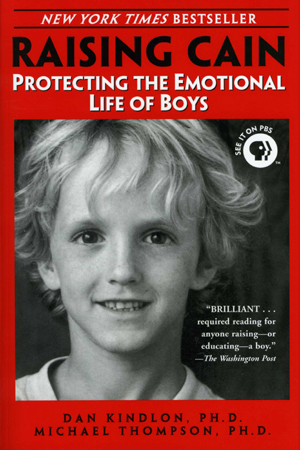 The book makes a compelling case that emotional literacy is the most valuable gift we can offer our sons, urging parents to recognize the price boys pay when we hold them to an impossible standard of manhood. The two psychologists identify the social and emotional challenges that boys encounter in school and show how parents can help boys cultivate emotional awareness and empathy–giving them the vital connections and support they need to navigate the social pressures of youth. Raising Cain is an important book and a fascinating read. Kindlon and Thompson are persuasive in their argument that it would be good for boys to become more ’emotionally literate,’ to understand their feeling and those of others more. Parents and teachers will welcome the valuable suggestions for how to stay tuned in to a boy, while respecting his autonomy. Raising Cain gives us a much-needed glimpse into the inner lives of boys. I found it quite absorbing. Enormously Compelling… In much the same way that Reviving Ophelia offered new models for raising girls, therapists Kindlon and Thompson argue that boys desperately need a new standard of ’emotional literacy.’…This thoughtful book is recommended for parents, teachers, or anyone with a vested interest in raising happy, healthy, emotionally whole young men. Raising Cain gives a long-needed insight into that mysterious, magical land, the psyches of boys. Every parent, teacher – or anyone who wants boys to flourish – should read this book.